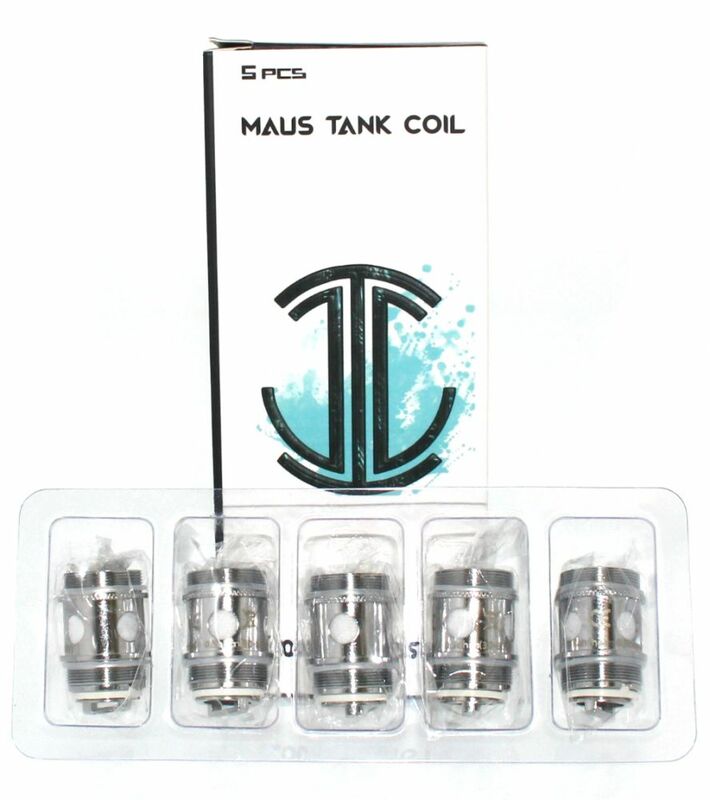 The CCI Maus Atomizer Coils are the official replacement atomizers for the Maus Sub Ohm Tank by Cloud Chasers Inc. These coils features a vertical coil structure for improved airflow and an organic Japanese cotton wick for an unprecedented caliber of flavor and vapor production. The 0.5 ohm option has a recommended output range of 30-80W and the 0.2 ohm coil is recommended to be used within the range of 60-120W, these output ranges are not limitations however they are recommended to ensure the absolute longest lifespan possible with a unmatched vaping sensation to match.